Mr. Cobley has managed to launch a new initiative tapped ClearScore, a startup offering free credit checks. 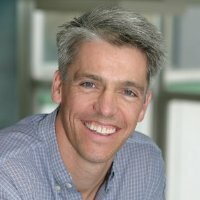 Google UK’s former Managing Director, Dan Cobley, has launched a new fintech startup after a several month testing period, according to information made public on his LinkedIn profile. Mr. Cobley’s new move into the fintech realm is the culmination of a several month initiative and testing period. As the Chief Executive Officer (CEO) of fintech incubator, Brightbridge Ventures, Mr. Cobley has managed to launch a new initiative tapped ClearScore, a startup offering free credit checks. ClearScore is a product of Brightbridge Ventures, which has already been targeted for substantial backing, which may climb as high as $15.6 million, according to Mr. Cobley. Former Capital One Vice President, Justin Basini, is also slated to man the operations of the new venture. Mr. Cobley has been a mainstay at Google UK for the past three years, having run the outfit as its Managing Director, part of an eight year overall stint with the technology provider. Additionally, he worked at Capital One for a period of four years prior to Google UK. A number of US firms have experienced success in this realm, including a variety of providers offering similar services utilized by US consumers and individuals. In particular, ClearScore is hoping to capture a similar measure of success garnered from other US firms such Credit Karma, which recently secured $272 million in funding.